Seán O’Casey was secretary of the Irish Citizen Army and wrote ‘ICA Notes’ in The Worker and the Irish Worker. While James Connolly attacked the British, O’Casey attacked the Volunteers week after week. He continually argued that the workers of Ireland were not served by the intent of the Volunteers, that the Volunteers were in fact anti-labour and that no working person should join them or Cumann na mBan. Whereas the Provisional Executive of the Irish National Volunteers have claimed from public platforms and in the press the support of the Irish workers; and whereas the rank and file of the movement are almost wholly composed of members of the working class; and whereas the conviction is growing stronger in labour circles, owing to the ambiguous principles of the Volunteers’ constitution and the class bias of the Provisional Executive, and the Ladies Auxiliary Committee [Cumann na mBan], and the strong element co-operating with the movement which have been consistently antagonistic to the lawful claims of labour. We, the members of the Council of the Irish Citizen Army, representative of organized labour, now challenge the Executive of the Irish National Volunteers to public debate in which to justify their appeal for the sympathy and support of the Irish working class. Details of the debate to be arranged by three members of the Volunteers’ Executive and three members of the Council of the Irish Citizen Army. I received your letter last night at the Volunteers’ Headquarters, and I gather from its contents that you think that there is a distinction being made by the Volunteer Executive between the noble and the obscure, the rich and the poor, and that you wish to discuss the matter in public debate. I am ignorant of the existence of such a distinction. I never heard much or little of it till I read your letter. It is impossible for me to enter into a discussion upon a matter about which I know nothing. O’Casey’s history of the ICA appeared biased. His personal dislike of James Connolly and Connolly’s rise to power within the movement—in effect replacing not only James Larkin but also O’Casey—was his dominant theme. He also distrusted nationalism, which Connolly fostered in the Irish labour movement. O’Casey demanded that Countess Markievicz sever her ties with the Volunteers (some say just with Cumann na mBan). When she was vindicated by a margin of one vote of the ICA Army Council, his hostility was overruled and he resigned. Following his departure, the ICA and the Volunteers started to work more closely together. Joseph E.A. 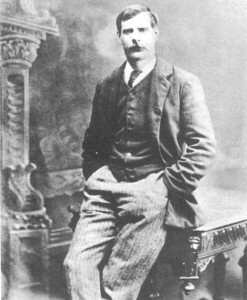 Connell Jr is the author of Dublin in rebellion: a directory, 1913–1923 (Lilliput Press, 2006). E.H. Mikhail & J. O’Riordan, The sting and the twinkle: conversations with Seán O’Casey (London, 1974). M. Ó hAodha, The O’Casey enigma (Dublin, 1998). 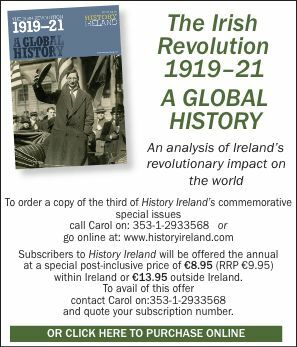 S. O’Casey, The story of the Irish Citizen Army, 1913–1916 (Dublin, 1919; London, 1980).